The Six was one of the LA burger spots, which I had highlighted on my UrbanDig Burger Tour. FreshBooks had booked the large table at The Six, and they had invited a group of customers to come down for burgers. FreshBooks was kind enough to invite me along to discuss the burger. Even though it was noon on a Saturday, it was a cinch to find metered parking on that stretch of Pico Blvd. On my previous visit, the server had been utterly clueless about the burger. On this occasion, I had the good fortune of Kacie helping our table. She was knowledgeable about the burger at The Six, and she expressed a genuine passion for burgers in general. Also, there was a new chef on the scene. The Six had hired chef Sean Mindrum, most recently from Mustards in Napa and also with Patina "San Francisco" as executive chef, to oversee the planned expansion of The Six to both Studio City, CA and Venice, CA.This from the menu..."At The Six, we use sustainable, locally sourced products. We make slow food as fast as we can." The Beef: The beef was a secret/bespoke blend, which arrived pre-ground from Premier Meat Company. This was the same purveyor, which supplied Sauce On Hampton (hooray) and Rustic Canyon (boo) with their burger meats in Los Angeles. They also did the beef for both LBS: A Burger Joint and Holsteins in Las Vegas. The blend tasted like an 80:20 blend of equal parts Chuck and Sirloin. The beef was juicy, and this was fortunate, since it was a little over-cooked to Med-Well. In spite of that, the bite was moist. The flavor was exceptional. Beef and mineral flavors dominated, and a mild note of aging was briefly sustained on the palate. The grind was medium to medium-coarse, so the bite was firm, and the grain and texture of the Sirloin was showcased. The beef was a little better than I remembered, and that was refreshing. The Seasoning: The exterior of the patty was perfectly salted as it seared. The Sear: The sear was as solid as it was on the previous visit. The sear was even, deep, and lent a satisfying firmness and crunch to the dish. The sear came at the price of a slightly over-cooked burger, but this trade-off was worth it. The Preparation: The Six hand-formed the 8-ounce patties during morning prep. 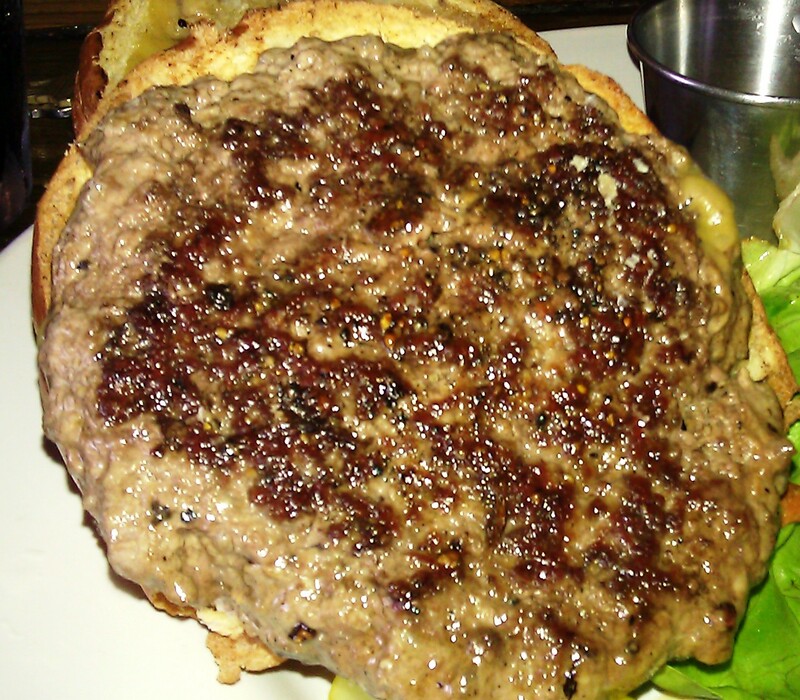 The burger meat was handled with moderate pressure, and it was not over-manipulated. The burgers were cooked on a properly hot flat top. The Cheese: The Cheddar, which I ordered in lieu of the Bleu, was mild. It added a nice creaminess to bring the dish together, but its flavor was lost in the beef. A thick slice of American would have worked here, but the burger at The Six was good enough not to require a slice of melted cheese to round out the flavor profile. 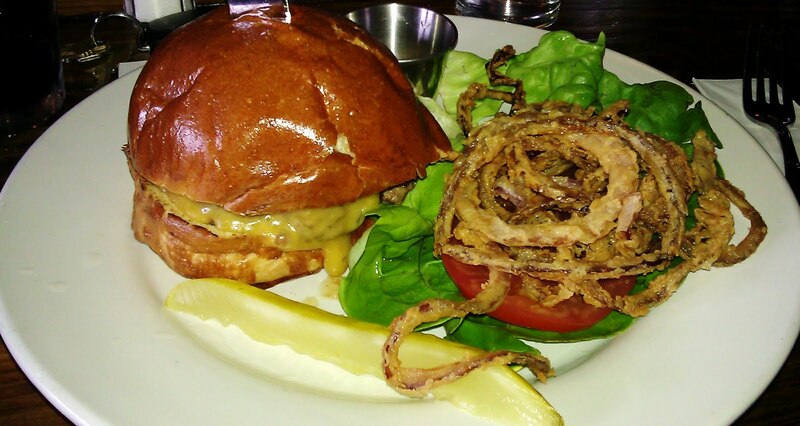 The Bun: The Six served their burger on a buttery and mild brioche bun from Ca' d'Oro. The brioche was moist, yeasty, fresh, barely sweet, and while it was high-domed, it compressed perfectly when bitten. The butter in the dough served as a competent barrier to staunch the river of juices running from the moist beef. Look, it's hard to go wrong with a brioche from Ca' d'Oro...they just get it. The Fries: I passed on the 6 buck fries on this visit to The Six. Other members of the group seemed to enjoy their fries. The Toppings: The Butter Leaf Lettuce was fresh and sweet, and the tomato slice was perfectly ripened and juicy. The Value: The Signature Six Burger Six was 11 bucks. This included red onion/onion rings but no fries. 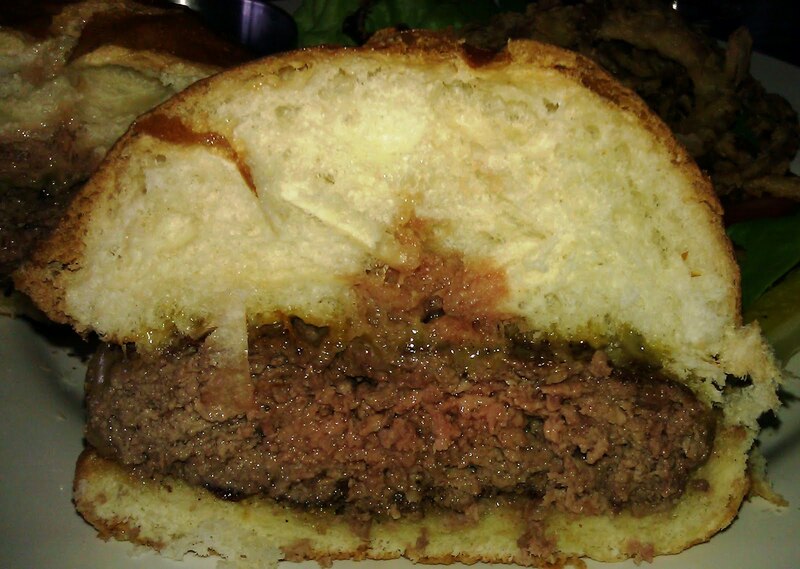 The quality of the beef was high, and the burger certainly was filling without the fries. The value was average at The Six. The Six seemed to have upped its game. The new chef brought some enthusiasm and a boost of talent. If Kacie was an indication of the level of professionalism and energy of the rest of the front-of-house team, then The Six was well on its way to consistently serving one of the best burgers in Los Angeles. The burger at The Six was very nearly perfect. Everyone that tried the burger at my table was impressed. 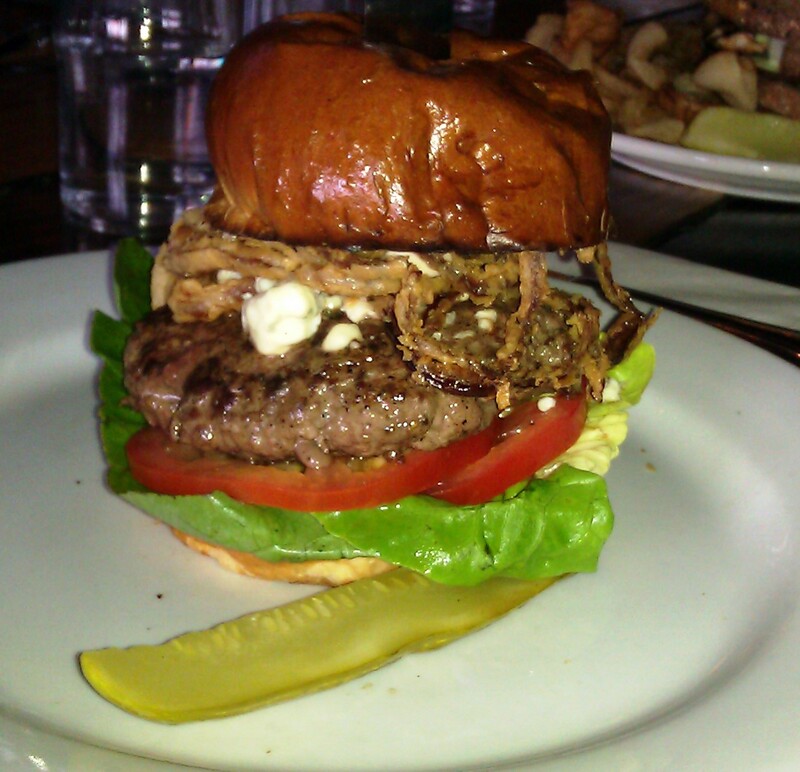 A couple of folks indicated that this was the best burger that they had ever eaten (they were from Toronto). I took half of my cheeseburger back home to Happy Meal, and he was impressed. He had just eaten, but he tore into The Six burger like he was starving. Burger Review : A delicious burger with an excellent sear. One of the best in Los Angeles.